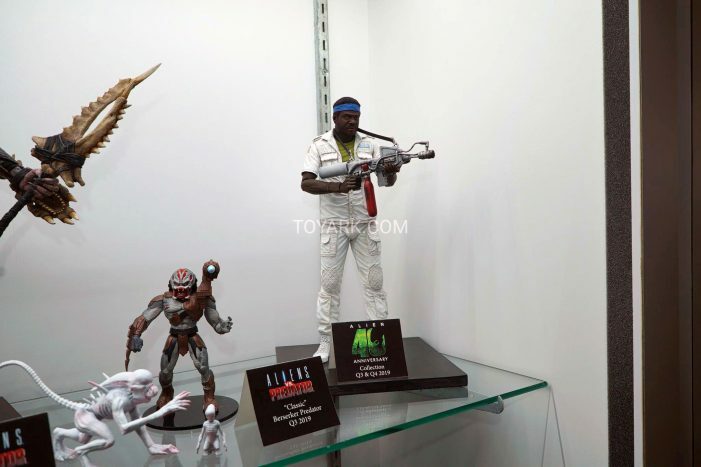 Between the 16th and 19th of February, toy (come-on, we’re adults, they’re collectables) companies from all over the world get together to show off their upcoming releases. It’s a fantastic look into what is going to be making our wallets scream over the next year or so. 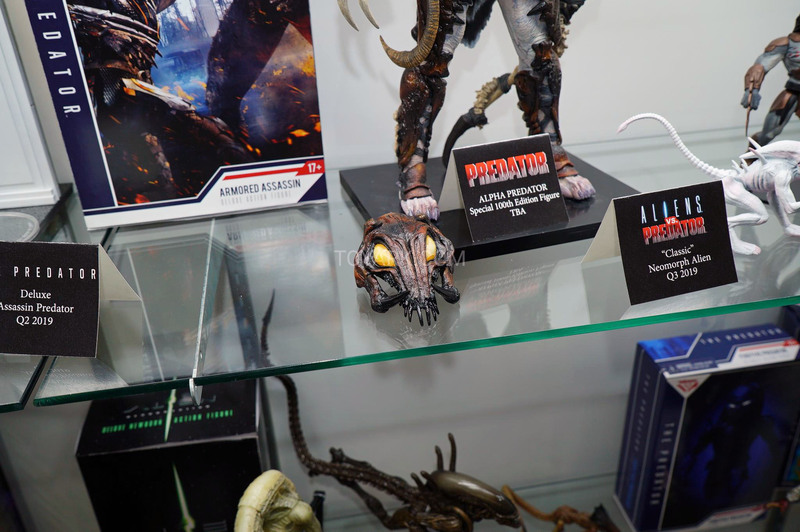 And 2019’s Toy Fair had a lot of upcoming Alien and Predator goodies to show! First up we have NECA who had so much goodness on display at the event! 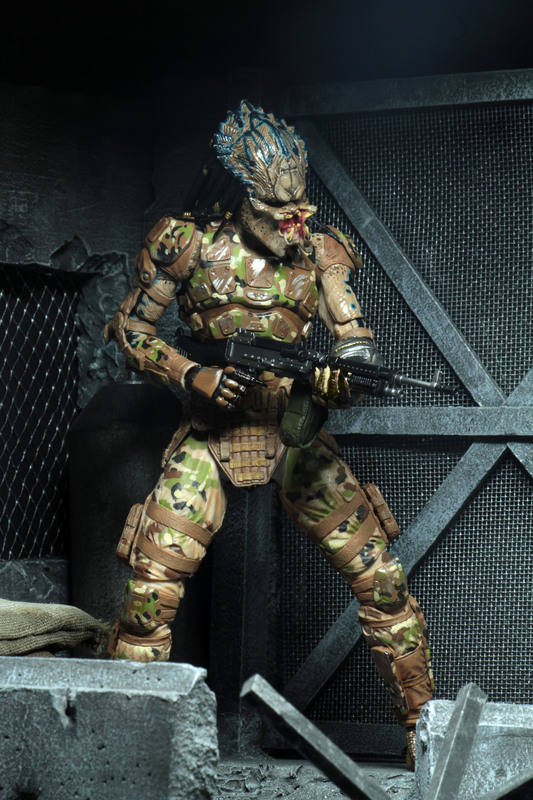 In addition to some of the previously announced releases NECA has on the way, they also debuted some new items from The Predator such as the second (Kyle Straut’s) Emissary Predator and a “naked” variant of the Fugitive Predator from the lab escape sequence complete with SIG 552. 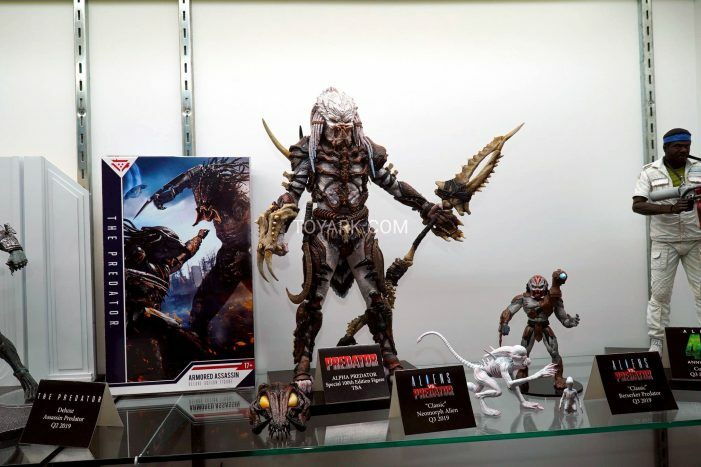 NECA was also displaying some surprising new items including a return to the 1990’s with their own retro take on the newer Berserker Predator from Predators and the Neomorph from Alien: Covenant! 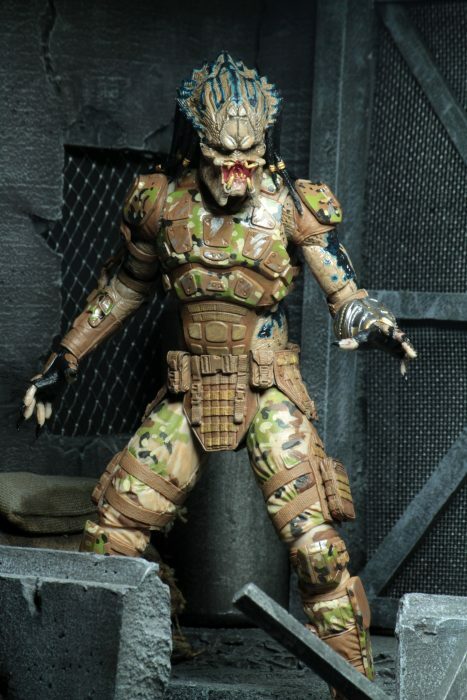 And if NECA’s Classic line wasn’t surprising enough, they also dropped two really big bombshells in the way of their special 100th Predator release Alpha Predator which calls back to the original Boss Film’s/Steve Johnson Predator design. 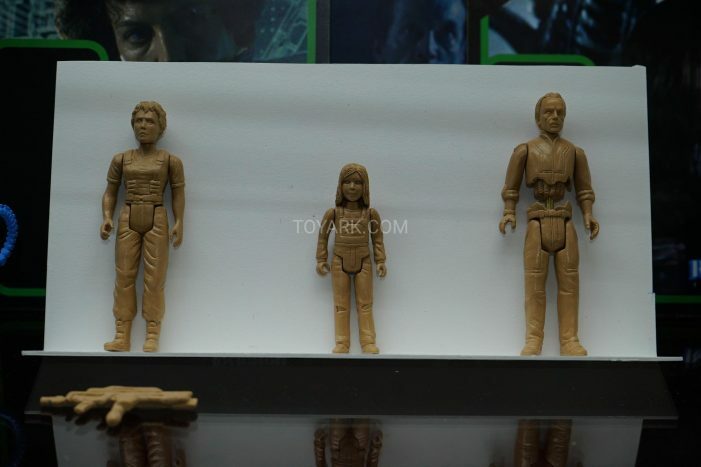 The second big figure they unveiled was a Parker figure who seems to be a part of the 40th anniversary celebrations this year! NECA also teased via Twitter that a figure of Brett might be on the way too! 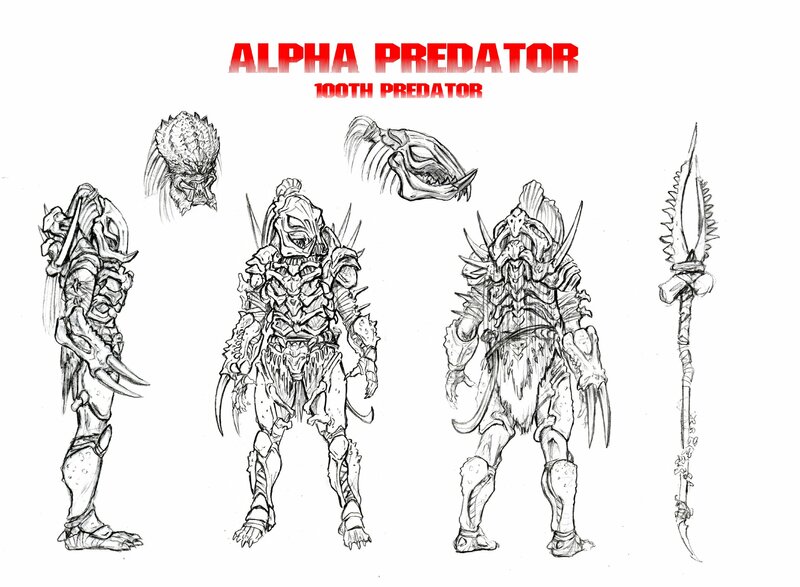 Designer David Silva has also shared his initial concept designs for the Alpha Predator which you can see below. For more images of NECA’s booth, head on over to The Toyark! 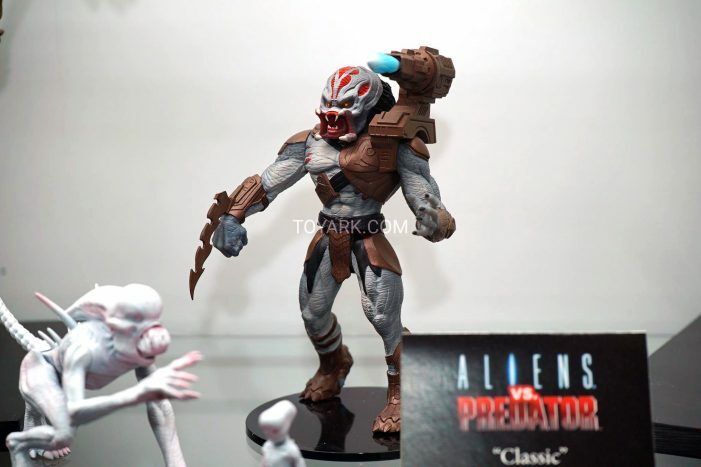 While NECA is only recently entering the world of retro styled Alien and Predator figures, Super7 has been releasing old school (though more 70’s/80’s style than the 90’s vibe NECA’s Classics seem to be aiming towards) for some years now. They’ve covered Alien and Predator quite extensively and it looks like they’re moving on to Aliens! In addition to their previous releases and new Blind Box series of Alien figures, Super7 was showing off prototypes of Aliens-styled Aliens, Ripley, Newt, a split Bishop, Vasquez, Hicks and Hudson! 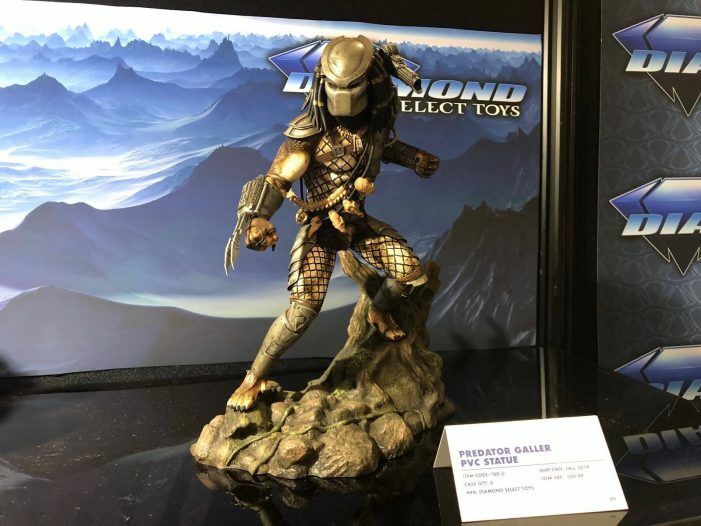 Diamond Select Toys was also at Toy Fair 2019 and showing off their upcoming PVC statue of the Jungle Hunter from Predator. 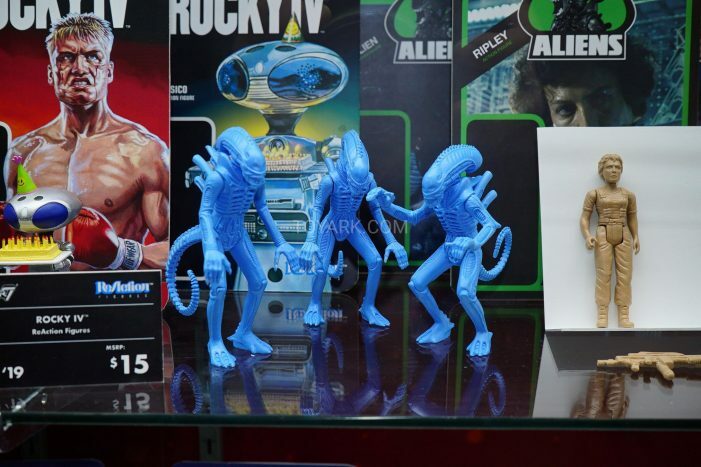 They have previously released some really awesome (and cheap) money boxes of the various Alien and Predator heads! Thanks to Alterton Bizarre, who did the 3D sculpting for this piece, for the pictures. And while not on display at Toy Fair, Funko used the event as an opportunity to announce that they are also joining in with the fun for Alien’s 40th anniversary! 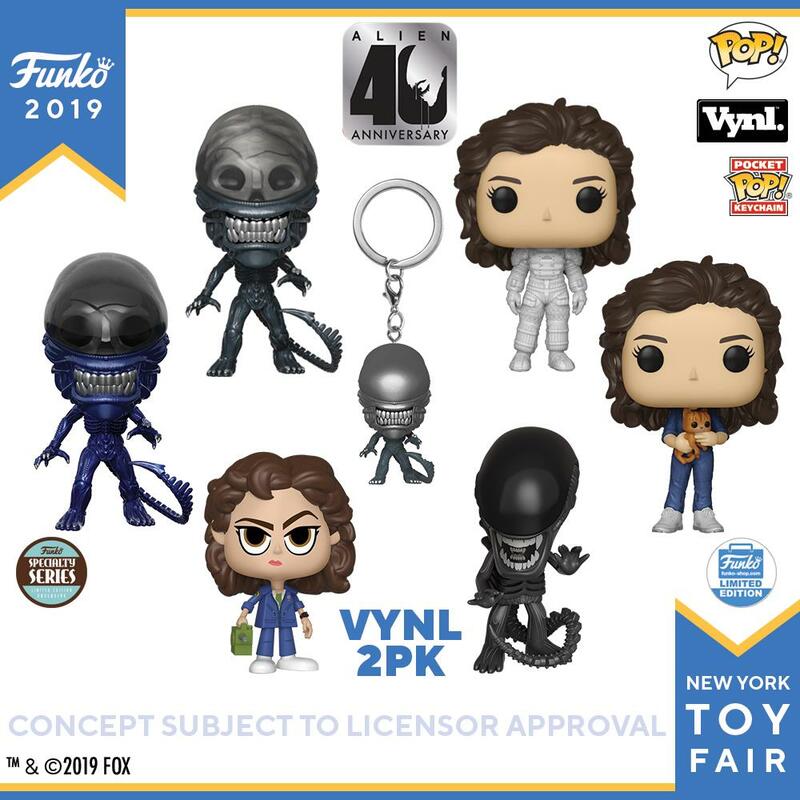 Funko have announced a series of new Alien inspired vinyl figures and a key-ring! Thanks to The Toyark for most of the above pictures! Keep checking in with Alien vs. 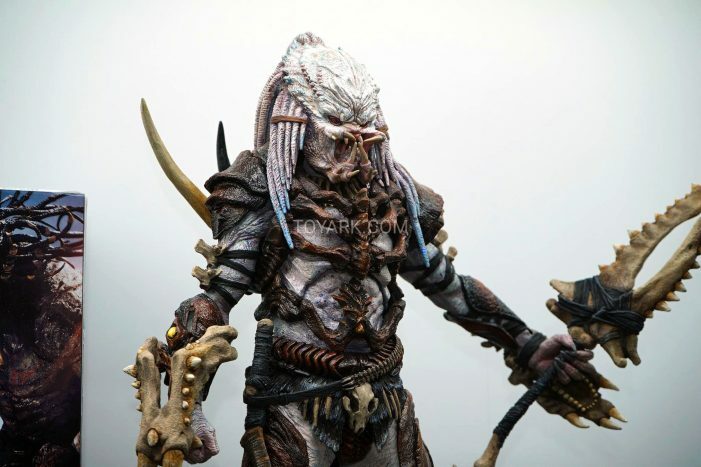 Predator Galaxy for the latest on Alien and Predator merchandise! You can follow us on Facebook, Twitter, Instagram and YouTube to get the latest on your social media walls. 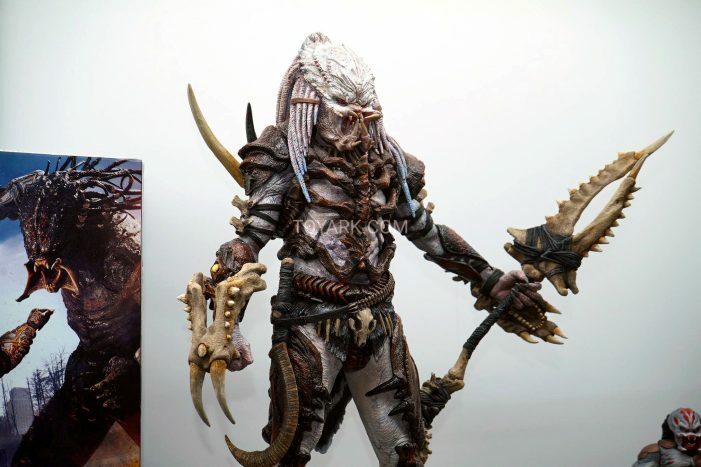 You can also join in with fellow Alien and Predator fans on our forums! A must have for me also. 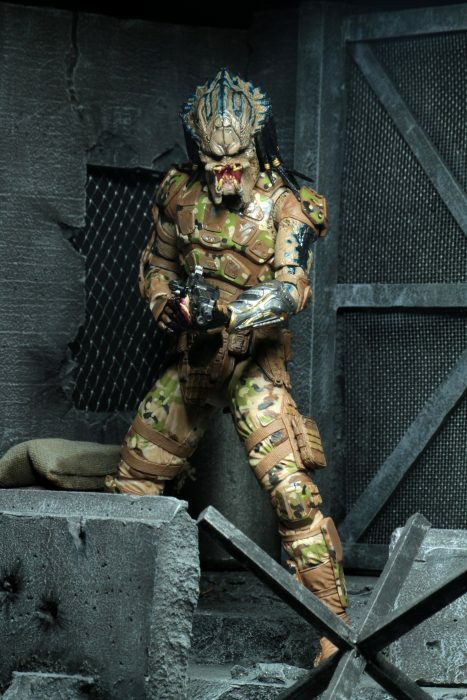 Anyone else thinking the new predator is what they would of looked like before they developed all their tech? I believe that's the intent they're going for. Alpha is definitely on my buying list. 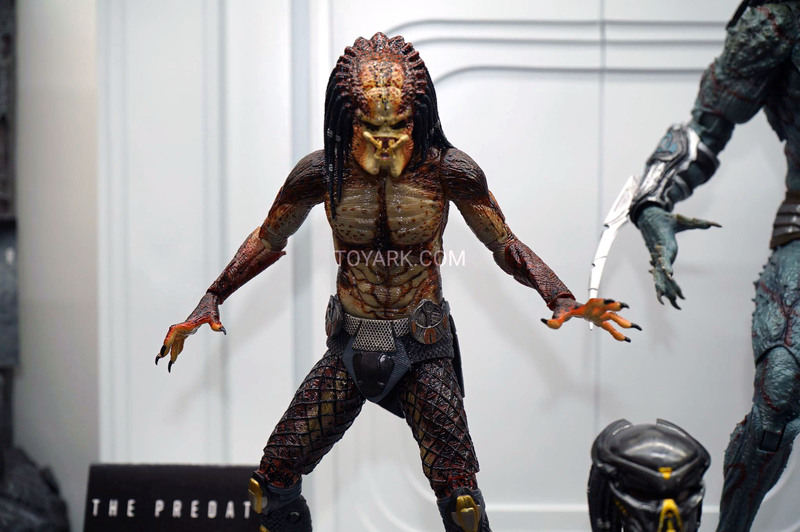 I think intention is showing how Winston's Predator beats up "first try design". Kinda ironic. 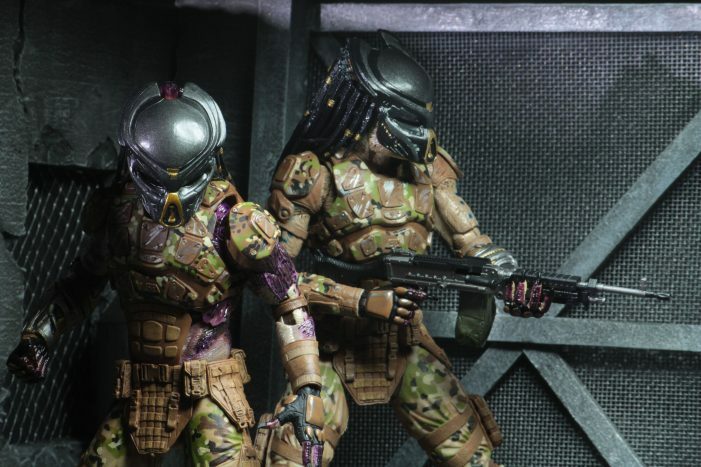 More are defiantly planned says Randy from Neca on twitter. 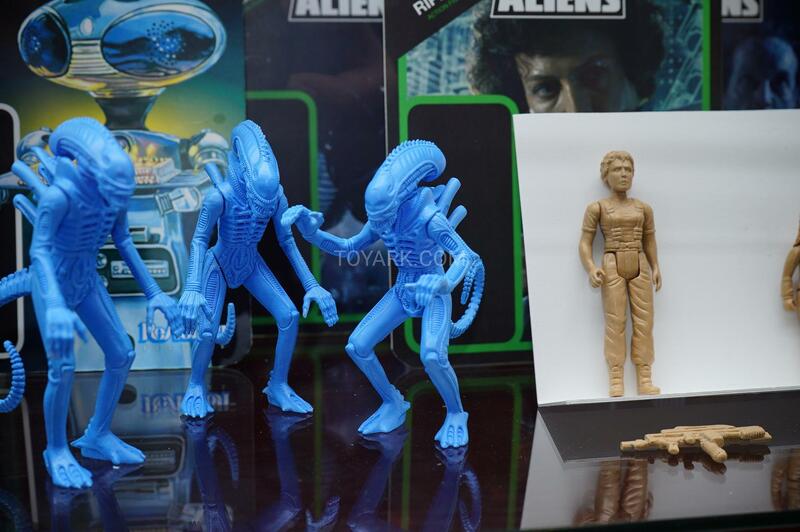 The Kenner line got me into the Alien franchise around 1994. Now the latest movie is getting a Kenner-inspired figure. Kinda cool. Feels full-circle. I'll probably pick it up. 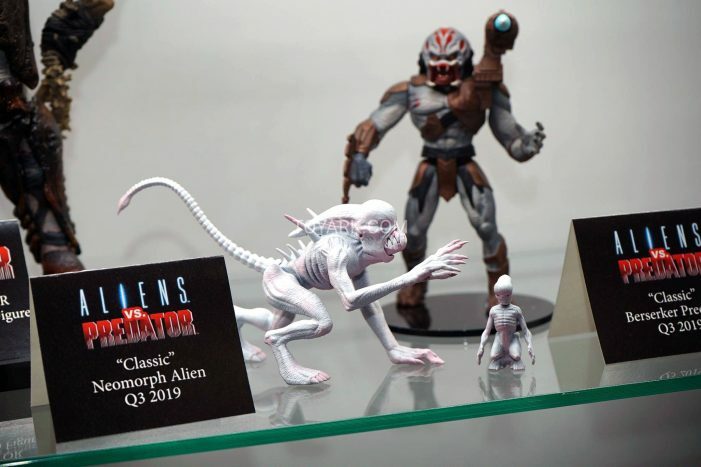 I hope the neomorph and berserker aren't the only "classic" figures planned. I like that Funko Ripley saying "What are you looking at?" Damn, that Alpha Predator looks great, and the references to the original design are very creative. On the topic of the original design, i'm honestly surprised NECA haven't released a figure of it at this point, that and the River Ghost. Ha! I love that split Bishop. 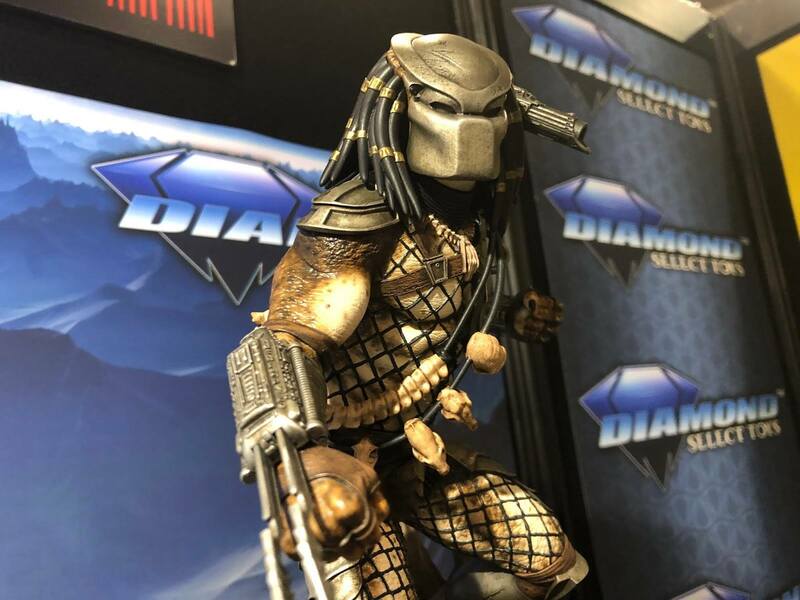 And the Diamond Predator PVC Statue looks outstanding. I've seen a few of those up close and they look like resin statues. For under $50, they're a steal. 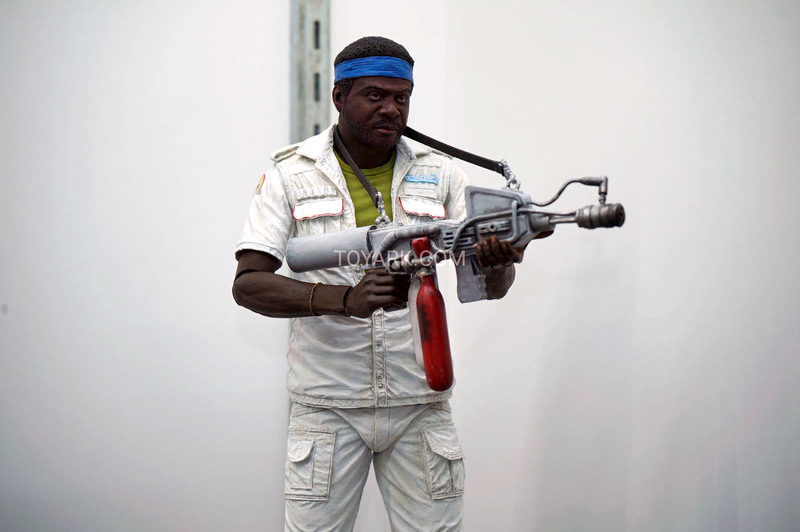 I actually really like the likeness on that Hicks! 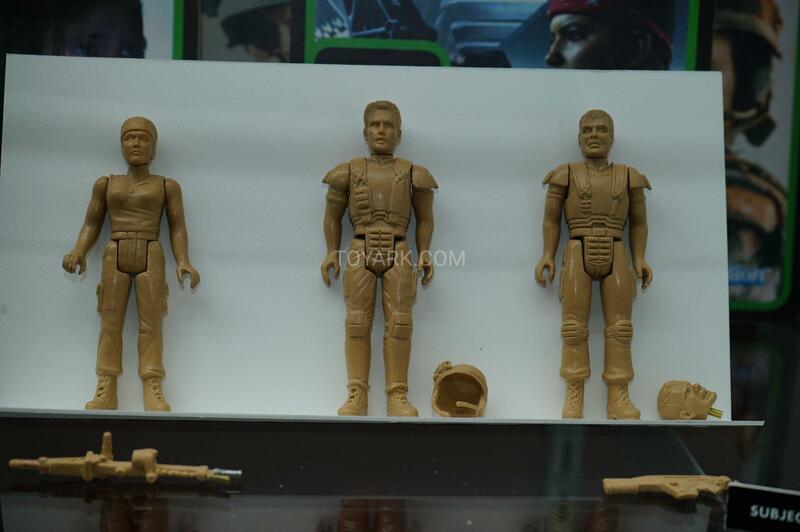 Super7 is doing Hicks and Hudson as well? Sold! Take my money. Now.